As most of us know, volunteers are the lifeblood of our choral organizations. 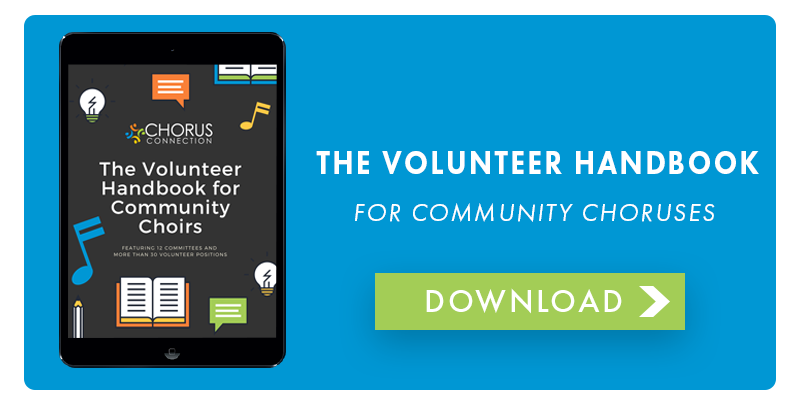 While some choirs have paid staff, usually the bulk of the administrative work falls to volunteers who buy into the ensemble enough to dedicate time to it. It is important to note that requesting help from volunteers is very surface-level compared to developing a culture within an ensemble in which singers are willing to volunteer in the first place. That said, there are certainly some strategies that will encourage singers and community members to step up to the plate, which will in turn foster a culture of volunteering going forward. It is always worth remembering that you have to actually ask for volunteers. However, that goes beyond general emails to the entire ensemble. Sit down and think about who has the skills and background necessary for the volunteer work you need. Then go ask them. Don’t email them. Don’t even call them. At the next rehearsal, go talk to them. Be open about your needs, the requirements of the work (and how much time they’d need to commit), and pitch them on the position. They still might say no, but a one-on-one request that has been clearly thought out is a) flattering, and b) shows that you respect their time and expertise. If you do make a blanket-ask of singers, make it is as specific as possible. How many volunteers you need. How long you need them for. What they need to do (specifics!). What (if any) training they will receive. How they should volunteer (whether it’s via email, sign-up form, etc.). What is in it for them. Build in different levels of volunteer work. Yes, you need a new marketing chair for the board. However, that is a large time commitment, and not all volunteers are willing (or able) to give you that much of their time. This doesn’t mean they aren’t valuable volunteers or incapable of volunteering. To engage all of your singers, design volunteer positions of varying commitment levels, and include positions that might only take an hour a week, or even an hour per concert cycle. More people will step up if there are a variety of opportunities to help. Find ways to reward and/or recognize volunteers. Yes, volunteer work is meant to be rewarding in and of itself. 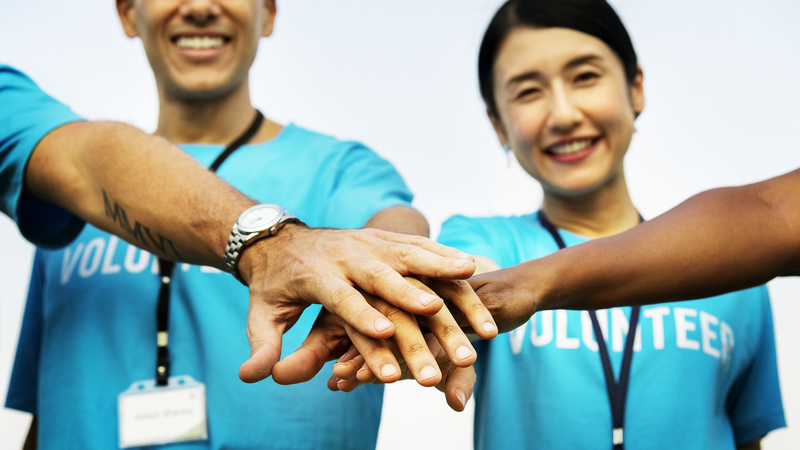 Yet even if you have the noblest volunteers on the planet, providing incentives will still show your volunteers how much their work means to you, and will also woo some potential volunteers who are a little less willing to do something for nothing. A burnt-out volunteer that receives no recognition and no care, no matter how selfless, will only continue to volunteer so long. And if other choir members see that there are only a few people doing the lion’s share of the work, particularly if those three people aren’t receiving any recognition or perks, they are hardly likely to step up to the plate to relieve those overworked volunteers. Remember that recognition and rewards can be both large and small, and that the options are truly endless based on the culture of your ensemble. Encourage volunteering from the very beginning. Brand new choir members generally know very little about how your choir functions. While making volunteer work a “requirement” of participating in the ensemble is unrealistic, it is completely fair to brief new singers on how the organization functions and how singers volunteer on a regular basis. By establishing this culture of volunteering from the very beginning, it can begin to cultivate an expectation of volunteering without new singers becoming complacent with a “they come, they sing, they leave” mentality. It is possible to push this too much, but it is still important to leave opportunities open, establish expectations, and frequently invite singers to participate. Last but not least is the most self-explanatory tip: No matter what you do, never be afraid to ask again. Jennie Weyman is the Managing Director of the Friday Morning Music Club in Washington, D.C. She is also an active member of both the Capitol Hill Chorale, serving on the Board of Directors since 2015, and the Washington Revels. 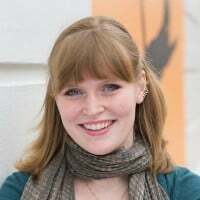 She has previously worked with both The Washington Chorus and Arena Stage at the Mead Center for American Theater. Jennie taught elementary music for two years, and continues to teach musical theater workshops in her spare time. When not working, Jennie freelances as a graphic designer, reads terrible mystery novels, and makes Airbnb wishlists. Go Hufflepuff!